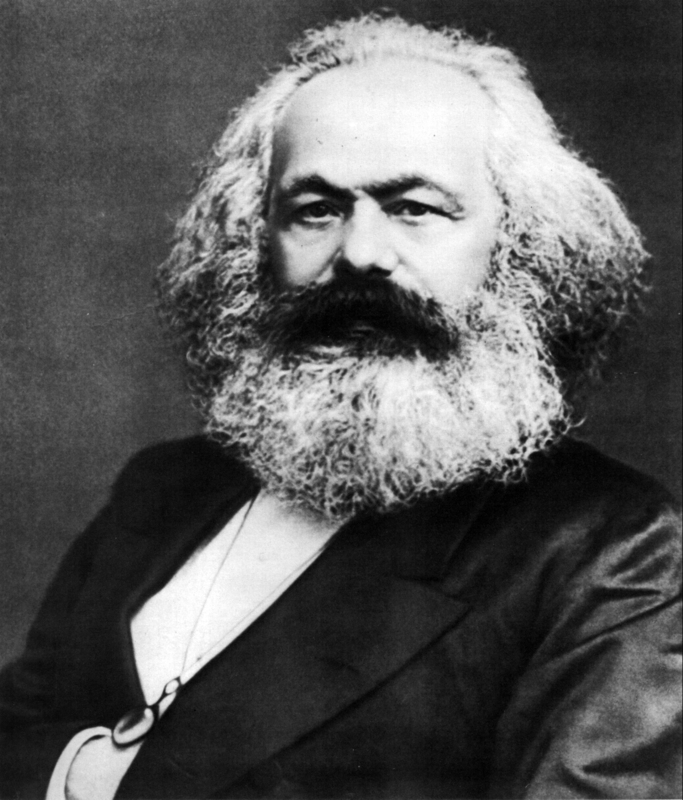 Two hundred years since Karl Marx was born and 170 years since his most famous work, The Communist Manifesto, was published, Eddie McCabe looks at Marx’s theory of class struggle and assesses its relevance for today. Without the labour power of workers, capitalists can’t make profits. The system can’t function. Of all the things a capitalist can buy to build their business, only labour power adds value; meaning the business can produce something worth more than the original cost of the components that went into the finished product. The time, thought and energy applied by workers in the production process – whose efforts are only partially compensated by the employer who keeps the output – is the ultimate source of profit (or surplus value) in a capitalist economy. Put simply, all profits come from the unpaid work of workers. And of course the drive for profit is the beating heart of capitalism. This revolutionary discovery by Karl Marx paved the way for a comprehensive explanation of the workings of the capitalist system – identifying exploitation, and therefore injustice, at its core. It underlies the socialist understanding of the world’s economies and societies today; the contradictions and antagonisms in social relations and the inherent instability and conflict arising from the fundamental division of the world into those who own capital and exploit others, and those who own little or nothing and are exploited; namely, capitalists and workers. Workers are those who have none of the necessary premises, equipment, materials, or the money to acquire these things, that are needed to engage in production or exchange – to make a living on the market – and can trade only their ability to work (labour power). Capitalists do have the above, but to put them to use efficiently enough to make a profit they need other people to work them. So they offer wages to workers that will (a) allow the workers to subsist, and (b) allow the capitalist to profit from everything made after this subsistence is paid for. The lower the wage and the more hours worked for that wage, the more the capitalist is exploiting the worker, i.e. the more money they’re making at the worker’s expense. It’s true that this arrangement is one that both the employer and the employee enter into freely, and centuries of ideological sugarcoating have created the impression that this is a fair deal for both parties. From a certain point of view, with a narrow focus on individuals, this can seem reasonable – both worker and capitalist get paid at the end of the day. The problem is that they both get paid from the work that only one of them engages in. This reality becomes clearer when looked at from the perspective not of individuals but classes. When the above scenario is generalised across the whole economy we find two main classes: (1) a majority-class of labourers who do virtually all of the work and create all of the wealth, but own very little, and (2) a minority-class who do very little work and create none of the wealth, but own virtually all of it. Competition in the market and their insatiable need to make more profits compels the capitalists to expand their enterprises by intensifying the exploitation and amassing greater numbers of – increasingly restless – employees; who in order to defend and extend their rights and conditions are likewise compelled to organise together. This instinctive desire on the part of both capitalist and worker to push the rate of exploitation in opposite directions creates a constant tension in capitalist society: the class struggle (with all its social manifestations in conflicting ideas, organisations, institutions), the very existence of which is denied by right-wing ideologues: but the class struggle, with its ups, downs, swings and roundabouts over time, in the last analysis, decisively influences all social and historical change. Recognising this ingrained friction (which heightens significantly in times of crises) and their central role in production (which gives them huge potential power), Marx identified the working class as key to challenging the rule of the exploiters; and moreover, establishing a society where the wealth that’s produced collectively would be enjoyed collectively. For socialists, this analysis remains valid in its essentials. It has withstood not just the test of time and the innumerable challenges from economic and political theorists from across the spectrum, but has been reaffirmed by the history of the working-class movement in the century and a half since Marx worked out his ideas. Conservative ideologues have always disputed the validity of Marxism, fearing most of all its revolutionary conclusions. But over time and increasingly – in the face of the failure to as yet achieve the aims of the socialist movement – even those who are critical of the system and recognise its deep-rooted and insoluble problems, deny the potential for revolutionary change and in particular the revolutionary capability of the working class. The weakening of the traditional working-class organisations (the trade unions and the social democratic parties), both numerically and ideologically in the wake of the collapse of Stalinism and the rise of neo-liberalism, has left a major political vacuum. In the years since then the leaderships of these organisations in almost every country have made a wholesale accommodation to the system, dumping even their nominal support for an alternative to capitalism. As a result, the workers’ movement, which was a clear point of reference for millions of workers and young people in the past, is now seen as a mere auxiliary to social struggles, not its base and leadership. On top of this the capitalist establishment, sensing this weakness, has gone on an offensive against the ideas of socialism. Their aim has been to disguise the existence of a class divide at all, but especially the existence of a potentially powerful class that can act independently, and in the interests of all of those who struggle against the system. And they’ve had a real impact, leading to much disappointment, frustration and confusion among the mass of workers and young people in recent decades. However the current crisis of the capitalist system, which sees no end in sight, is itself undermining ideological war against Marxism, as the (ever-present) class struggle ratchets up again. As we celebrate 200 years since the birth of Karl Marx, reviewing his ideas on the class struggle and revolution will help us engage in the struggle all the better. The Communist Manifesto opens with the declaration that, “The history of all hitherto existing society is the history of class struggles.” Engels later clarified that this meant all ‘written history’, since for the vast bulk our existence human societies were based, by necessity, on cooperation and equality. Primitive conditions and an egalitarian ethos prevented the accumulation of private wealth and property and the development of any significant hierarchy within social groups. Marx wasn’t the first to see class division and struggle in human societies, but what he did uncover was the relationship between the class struggle and “the particular, historical phases in the development of production”,(4) which was key to understanding how and why revolutions happen. For Marx, the study of human history and its development, just like the study of natural history, should begin with the question of how humans beings live and reproduce themselves – how they eat, drink and sleep, and stay warm, dry and safe in whatever environment they find themselves in. These basic needs have to be met before any other creative endeavours, like art, science or philosophy, can be pursued. So the starting point for analysing any society is how it organises the production of whatever it needs to exist (the ‘mode of production’), and then, if it can produce more than what is needed to exist, how those additional resources (and indeed the means to produce them, the ‘forces of production’) are used. Or in class society, by whom they are owned and controlled and from whom they are appropriated (the ‘relations of production’). One, the Ancient Mode, in which ‘masters’ literally owned slaves who they exploited in these largely agricultural economies where trade also took place, the type of societies that existed in ancient Greece and Rome for example; Two, the Feudal Mode, a more advanced and widespread agriculture-based economic system, where the main relations were between lords who owned land that was worked for them by serfs who also worked for themselves, the mode of production in most of Europe until the 18th century; and three, the Bourgeois Mode, where industry and trade is dominant and where the main contending classes are capitalists and wage-workers. To be sure, the beginning of an ‘epoch of social revolution’ does not necessarily conclude in a revolutionary transition from one mode of production to another. A rising social class has to exist that can move the situation on and challenge the class in power, and even then “the common ruin of the contending classes” is always a possibility. Hence, a mechanical interpretation of Marx’s stress on production as the motor force of history is one-sided and wrong. As he wrote elsewhere, “History does nothing, it ‘possesses no immense wealth’, it ‘wages no battles’. It is man, real, living man who does all that, who possesses and fights.” The outcome of an epoch of social revolution, therefore, depends on the class struggle. Does Marx’s proletariat still exist? Before looking at what are the particular characteristics of the working class that make this so, it’s worth dealing briefly with an all-too-common assumption made about Marx and his view of the working class and struggle: specifically that the working class that Marx knew, in the factories of Manchester and London in the mid-19th century, no longer exists and looks nothing like the working class in Manchester and London today, for example; and consequently, that his theories about the role that the working class would or could play, whether they were ever valid, are outdated and not applicable in the modern world. Of course it’s undeniable that capitalism has gone through many changes in the 150 years since Marx wrote Capital, and naturally the working class has likewise, whether in its size, location or composition. These changes are real, tangible and in some cases significant, and absolutely have to be assimilated by serious Marxists today. But it also has to be said that, had Marx experienced the last 150 years, it’s unlikely he would be terribly surprised that such changes have occurred. In fact, incorporated into his theory of the working class is the expectation that its size, location and composition will continually evolve. After all he wrote, “All previous historical movements were movements of minorities, or in the interest of minorities. The proletarian movement is the self-conscious, independent movement of the immense majority, in the interest of the immense majority,” (11) at a time when the working class made up only about 2-3% of the world’s population. And the largest section of the proletariat in England when he lived were not burly industrial workers, but domestic servants – predominantly women. His view of the working class was based on much more general considerations than the specific conditions and experiences of any particular sector of workers. The precariat: a new class? Standing’s view of the proletariat, then, is at odds with the Marxist view, since he has, somewhat arbitrarily, narrowed the definition of the proletariat to exclude a majority of those who sell their labour power to make a living. It seems his definition is influenced by a traditional, cultural view of the working class as it was in the 1950s and 60s in the advanced industrial world, not as it was before then or is in reality today. To the extent that secure, unionised workplaces were prevalent then, it still only represented a certain snapshot in time and even then there existed many precarious workers. Indeed the benefits and rights these workers enjoyed, which many still enjoy, were won through struggle by the equivalent of the ‘precariat’ of the 1920s, 30s and 40s, and they have been defended by organised workers ever since. Precarity has always existed for workers under capitalism; firstly because the contradictions in the system produce periodic crises that can put even ‘stable’ jobs at risk; and secondly because of the existence of a reserve army of labour in the form of the unemployed and underemployed. The hardship faced by the unemployed is counter-posed to the ‘privilege’ of those with jobs. The latter, it’s argued, would be unwise to risk their lot when they can, if necessary, be replaced. The negative conditions Standing describes, of ‘casualisation, informalisation, agency labour, part-time labour, phoney self-employment and the new mass phenomenon of crowd-labour’ are very real for many workers, especially young people and migrants. The increased precariousness experienced by workers today is a direct result of the neo-liberal policies advanced by right-wing governments the world over and likewise the glaring deficiency of trade union organisation. Highlighting these issues and focusing on the particular plight of ‘the precariat’ is not in itself a problem. Much needs to be done to grapple with the task of organising these workers. Where it becomes a problem, however, is when a false division is created between sections of workers who do have, regardless of sectional differences, shared interests best summed up in the old labour movement slogan, “an injury to one, is an injury to all.” Standing’s assertion that the ‘old proletariat’ is no longer capable of being revolutionary because it has been bought off by ‘pensions’ and ‘labour rights’ – which are actually under sustained attack by the same neo-liberal forces – is simply false. 1500 million are classified as vulnerably employed: ‘own account workers’ or self-employed people who don’t employ others. Also included are 400 million unpaid family workers who are related to these self-employed people. This huge group makes up most of the world’s poor. However the working class in its totality also includes retired workers, workers on disability, workers in bogus self-employment (and some other forms of self-employment) and all those also dependent on those paychecks – stay-at-home parents, carers, young people etc. As a class that exists in itself, simply as raw material for exploitation (not conscious of its place in the system or its potential power if organised), it is in fact larger now than it’s ever been and it continues to grow. Urbanisation and industrialisation, particularly in developing countries in the last 30 years or so, has seen the size of the working class increase by more than a third. The actual or relative size of the working class today is an important thing for socialists to be aware of. Though being a majority, or even just being very big is not what gives the working class its revolutionary character – again something Marx and Engels identified when the working class was still dwarfed by a much larger peasantry. But what the size and the continued growth of the working class today do illustrate is the increasingly powerful position it holds in the dynamics of the capitalist system’s development; something to which no other social force can compare and which is key to breaking down the system and building something new. 1) Capitalism concentrates workers into large towns and cities based around workplaces where the exploitation for surplus value takes place. The organising and collective struggle against this exploitation is likewise concentrated in ways that isn’t possible for peasants who are tied to plots of land spread out across the countryside. More broadly, working-class communities understand that they can resist only by linking with their neighbours who are in the same position. These processes produce a collective class-consciousness, far beyond what most atomized slaves or serfs ever could. 2) The capitalist economic model instills workers with a sense of discipline, cooperation and organisation, in two ways. First, a certain degree of regimentation and teamwork is demanded of workers by management who are tasked with extracting as much labour as possible within the timeframe of the working day. Second, in order to mitigate the worst excesses of this same regimentation and the adverse impact of recurring economic crises, workers have always instinctively moved to form their own organisations – trade unions and then also independent political parties – to safeguard and fight for their economic and political rights. 3) The advancements made by the capitalist system in science and technology means that production and exchange are more complicated arenas, requiring the mass of producers and distributors attain a higher level of basic skills (literacy and numeracy) and knowledge in order for society to function. On top of this, workers have fought for the right to education on a higher level again, for themselves and their families. 4) The world market is based on a global division of labour that connects all workers. Most of the commodities that we use in our everyday lives are the products of labour by not one, but many workers, using diverse skills and from completely different parts of the world. The struggle of the working class is a global one. 6) The working class is the only social force with the power to challenge the rule of the capitalist class. No other class, group or demographic has the necessary weight, cohesion, or organisation to take on the might of the capitalists, and their ideological and physical apparatus (including the surveillance state with its intelligence agencies, police and armies). Here it’s worth underlining that the above imbue the working class with revolutionary potential only, as it goes without saying the working class is far from being in a revolutionary state at all times. Capitalism has also built up its defences to stave off any threats to its rule. At base is the state apparatus itself (the armed bodies of people, just mentioned), but its more sophisticated defence is the ideological hold it maintains through the prevailing morality, culture and social practices which accept the legitimacy of its rule (not to mention its control of the mass media, education etc.). As Leon Trotsky put it once, “He who owns surplus-product is master of the situation – owns wealth, owns the state, has the key to the church, to the courts, to the sciences and to the arts.”(18) It also consciously stokes and exploits divisions among the workers and oppressed peoples, to weaken its natural opponents. All of which produces unevenness in the consciousness – the moods, attitudes and awareness – of the working class, which counteracts its unity, confidence and revolutionary power. Of course the working class is also not a homogeneous mass. Since its very emergence there have always been different layers of the working class, most obviously skilled and unskilled. Its evolution involves absorbing sections of the middle class on the one hand and the urban and rural poor on the other. Its mass character means that it is animated by multiple genders, nationalities, religions, ethnicities and sexual orientations; all of which leads naturally to many shades of political opinion, identity etc. But this diverse, lively and colourful working class is organically united by a common exploitation by a common enemy, which it can only challenge through unity and solidarity in a common struggle. In truth, the validity of Marx’s theory of class struggle has been borne out by the history of the working-class movement. Under capitalism the class struggle has intensified. The 20th century saw far more revolutionary movements than any other, including the first successful socialist revolution in Russia in 1917 (a revolution that was later betrayed, but nevertheless happened). The 21st century has already experienced a profound crisis for the capitalist system, and indeed has seen its fair share of significant mass mobilisations of workers, poor and young people around the world. These movements resemble movements of the past in many ways, but in many other ways are completely novel, which brings with it new challenges for Marxists. Today we are seeing significant and militant strike action by teachers in the US and lecturers in Britain, reflecting a widespread process of ‘proletarianisation’ in which professions that were once considered to be in some way privileged, have been ground down by neo-liberal assaults on conditions and forced to organise. Strikes by teachers and lecturers would have been unheard-of in Marx’s day, as would the ‘feminist strike’ of five million workers in Spain on International Women’s Day in 2018, which followed the example of women in Poland defending abortion rights in 2016. 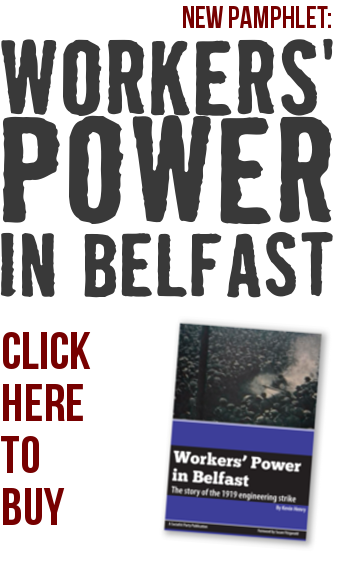 These examples, and many more just like them around the globe, show that the working-class methods and traditions of organisation and struggle will redevelop, in new forms and on a higher level, as working-class people clash with the same unequal, violent, oppressive system that led them to struggle in the first place. This is the socialist world the workers have to win.